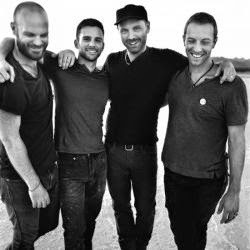 The Coldplay released the video with the lyrics of their new song, "Miracles". The track was written and recorded for the soundtrack of the movie "Unbroken", directed by Angelina Jolie. The film tells the story of Louis Zamperini, US Olympic runner who was arrested by the Japanese army during World War II. The legendary sportsman died in July this year. The Unbroken Soundtrack album was released last week, while the film hits theaters on December 25.